The term green is being used quite often as of late. In fact, it’s likely that a vast majority of us hear that particular word on a weekly (if not daily) basis, but may not know just how we can create a green living space. So, we thought that we’d use this article to provide a bit more information about just what green means in terms of your living space, both indoors and out, as well as the benefits of a having a Los Angeles green home and landscape design. There are a variety of ways in which you can transform your indoor or outdoor area into a sustainable, green living space. To begin, ask yourself how green you are right now and how sustainable you would like to ultimately be. If your paint contains chemicals and the building materials that were used in your dwelling may have toxic elements, then you may want to hire a Los Angeles eco friendly designer to help you renovate your home into a Los Angeles green home. As for your outdoor space, choosing a drought resistant landscape is often the best option, as it allows for you to have a visually appealing outdoor green living space while minimizing water usage. Not only is a green living space and landscape a great way to help the environment, but it can also benefit your overall quality of life, as well. Quite often often occupants of a Los Angeles green home experience a boost in mood and improved health of mind, body and spirit because of the toxins eliminated from their space. Given that we tend to spend a vast majority of our time at home or in our outdoor space, having a Los Angeles green home that incorporates elements of holistic architecture can enable us to feel more balanced and can even increase our immunities to certain illnesses. 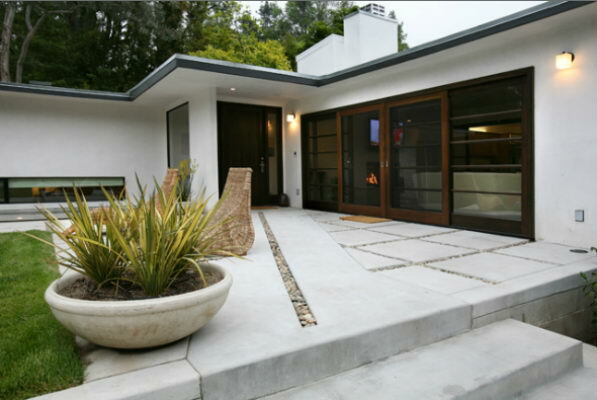 With a Los Angeles green home and landscape, you can also rest assured that you are helping to heal the environment and lessen your impact upon it. Busch Design Build is a Los Angeles-based global design firm that has been providing architectural and landscape design services for over twenty years. If you would like to learn more about our green living space design services, please click on this link.